The British Medical Journal is taking Dr. Oz to task over the information he provides on his show. According to an article in the Washington Post, the reserachers examined 40 episodes and found 479 separate medical recommendations. 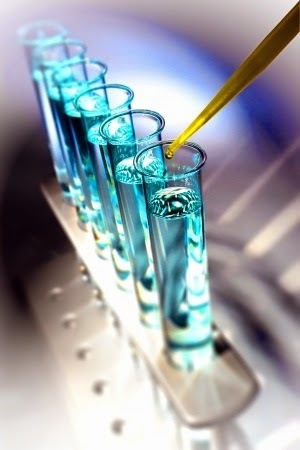 Of those recommendations, they were able to find medical research that supported 46% of his recommendations. 15% of his recommendations were actually contradicted by current medical research and 39% has no medical research available. 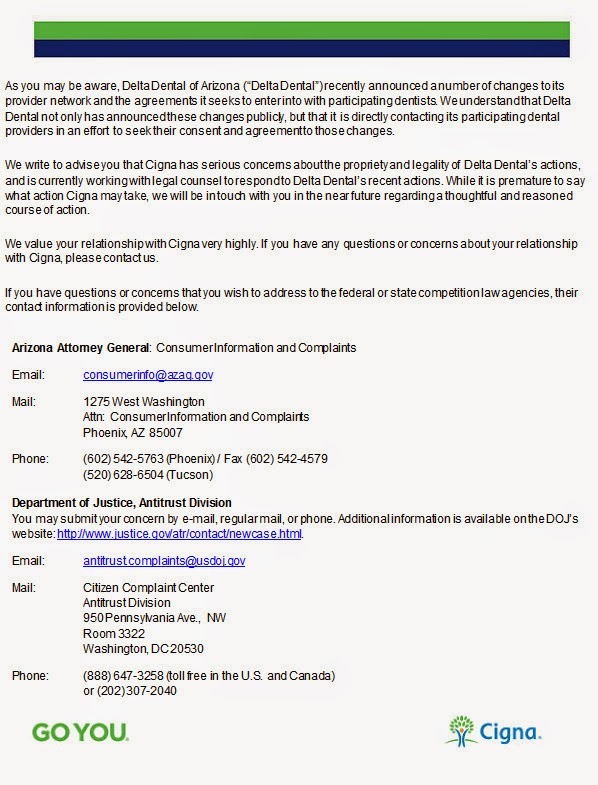 Most clinicians in the US have probably had a patient that came with concerns about something they heard from Dr. Oz. 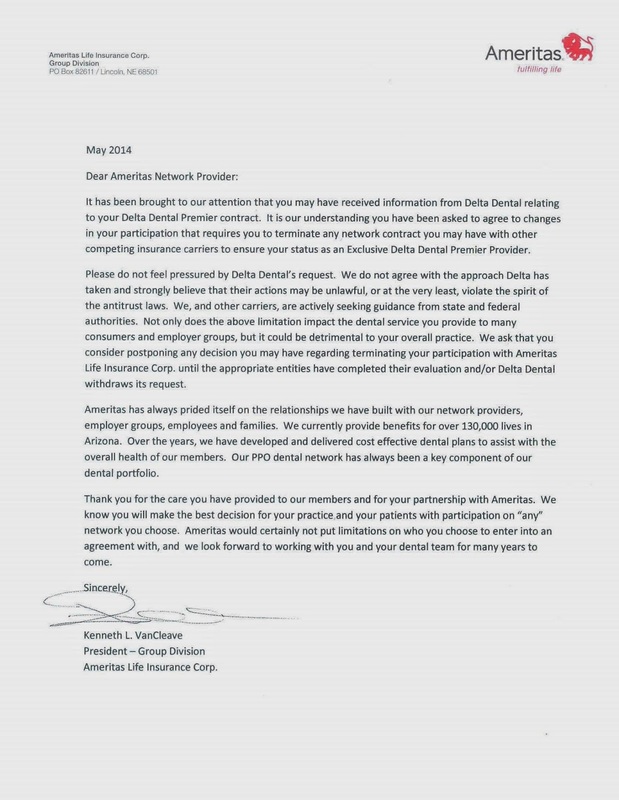 A little more evidence that you can't believe everything you read on the internet OR hear from Dr. Oz! 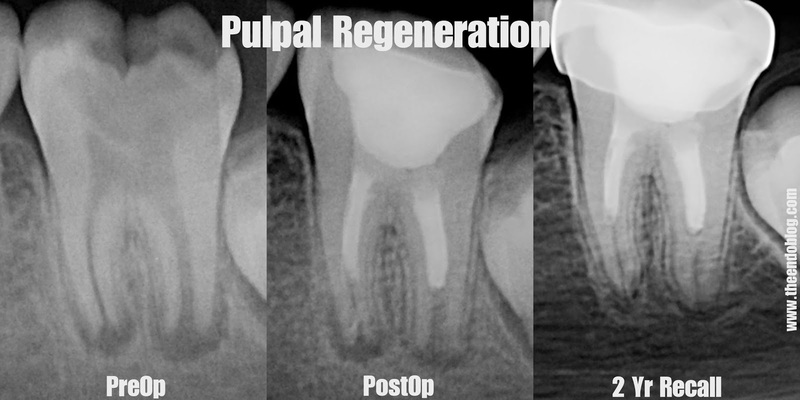 Root amputation is not a commonly performed procedure in my practice, but when it is, I like for it to look like this. 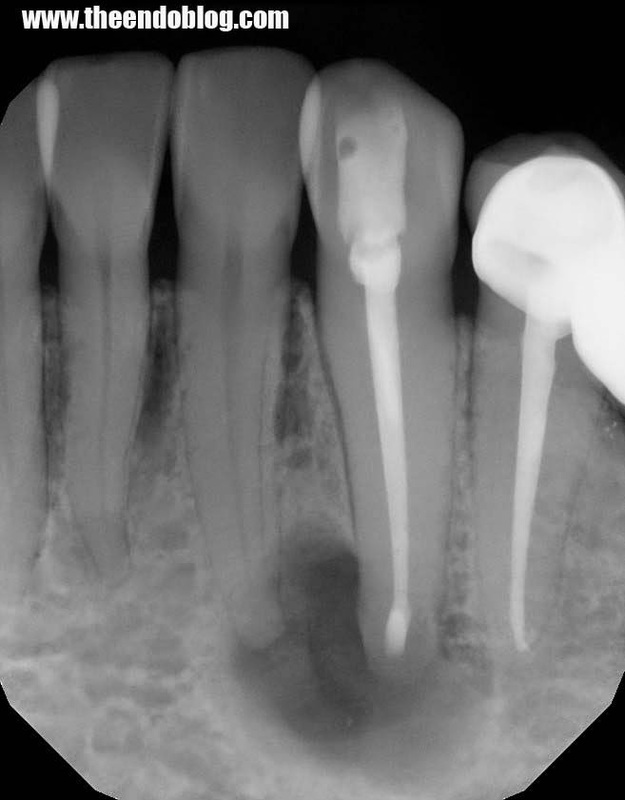 In this case, the tooth is non-mobile - despite the bone loss around the DB root. 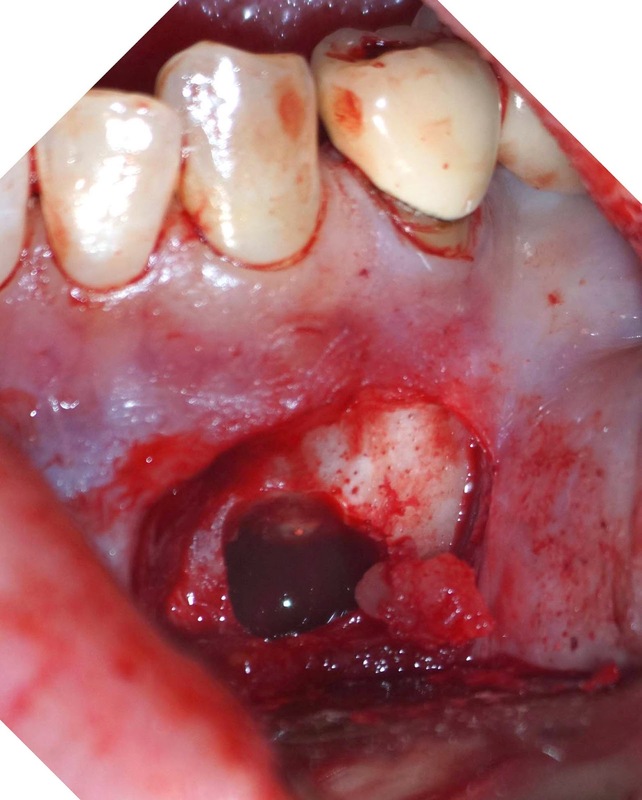 While the distal margin is open, it is not carious and patient is not planning to replace the crown at this time. 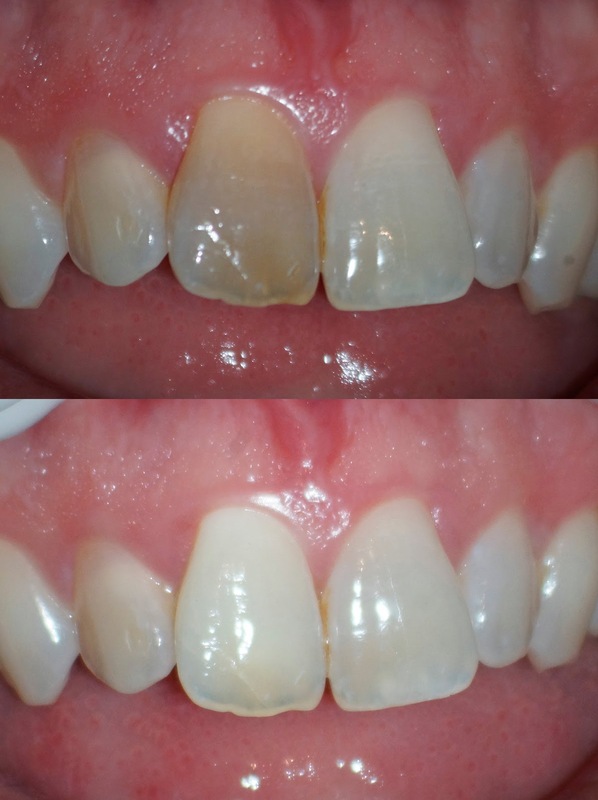 Pt understands that this procedures extends the life of the tooth. I explain that the short term prognosis is good. 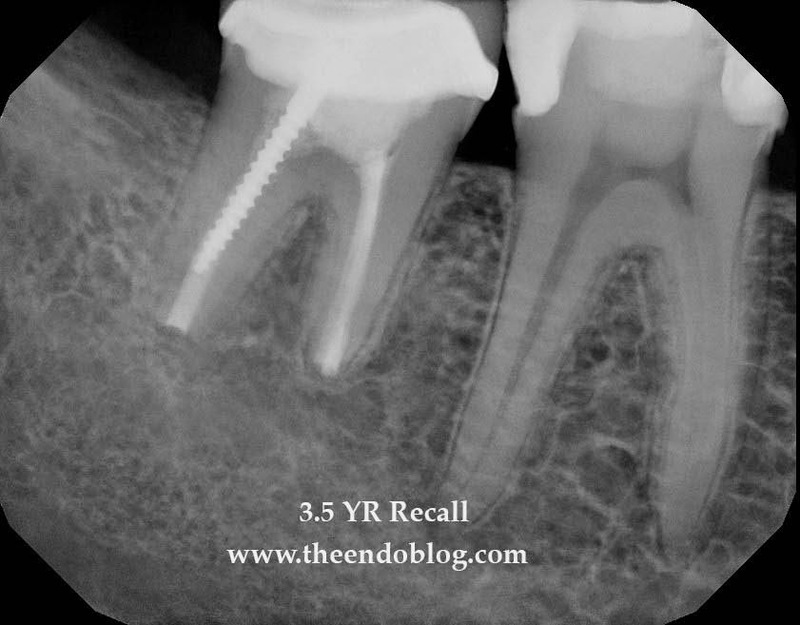 If the tooth does well, then replacement of the crown can be considered. DB root removed and contoured to a cleansable form. Dr. John P. A. Ioannidis is a Professor of Medicine, Health Research and Policy at Stanford University. He holds the C.F. Rehnborg Chair in Disease Prevention and is the director of the Stanford Prevention Research Center (SPRC) at Stanford University School of Medicine. He is a professor of Statistics and one of two directors of the Meta-Research Innovation Center at Stanford (METRICS). In an article published in 2005, titled "Why Most Research Findings Are False", Dr. Ioannidis explains the increasing concern that most current published research findings are false. There are many factors that play into this problem such as research design, definitions, outcomes, financial interests, prejudice, and the "chase for statistical significance". In fact, Dr. Ioannidis states that for many current scientific fields, published research findings may be little more than "accurate measures of the prevailing bias". Dr Ioannidis is known for defining the proteus phenomenon, which is the greater tendency for the early repeat studies done to contradict the original study. The proteus phenomenon was named for the Greek God Proteus, who had the ability to change form. While it is impossible to know with 100% certainty what the truth is in any research question, Dr. Ioannidis makes some recommendations on how we can improve the scientific research. 1. Seek better powered evidence (large studies or low-bias meta analysis) with acknowledgment and avoidance of bias. 2. Find ways to evaluate the all the evidence generated by multiple teams studying the same topic. Find ways to develop and follow protocols as done in randomized clinical trials. 3. Rather than focusing on p-value for statistical significance, improve the understanding of the range of R values - pre-study odds. This helps us understand the chances that we are testing a true, rather than an un-true relationship. Dr. Ioannidis is not the only one concerned about the effect of bias in the research. Pannuchi and Wilkens have said "Bias can occur in the planning, data collection, analysis, and publication phases of research. Understanding research bias allows readers to critically and independently review the scientific literature and avoid treatments which are suboptimal or potentially harmful. A thorough understanding of bias and how it affects study results is essential for the practice of evidence-based medicine." They go on to discuss how bias can affect a study before, during and after the research is complete. An article in Radiology by Gregory Sica MD, MPH reviews types of study design, types of selection bias, types observational bias, and suggests some ways to reduce bias in research. Mullane and Williams ask if bias in biomedical research has become the rule rather than the expectation. They indicate that bias in research is amplified by competition and difficulty getting funding, pressures for maintaining laboratories and staff, desire for career advancement, and monetization of science for personal gain. They also mention the increasing body of research publications that cannot be repeated or require corrections or retractions. Dr. Ioannidis will be the keynote speaker at the Nowzari Symposium on Friday, Nov. 7th 2014 in Beverly Hills, CA. See you there! 2. Pannuchi, C Wilkens, E Identifying and Avoiding Bias In Research. Plast Reconstr Surg. Aug 2010; 126(2):619-625. 3. Sica, G Bias In Research Studies. Radiology. Mar 2006; 238:3. 4. Mullane, Williams. Bias in Research: The Rule Rather Than The Exception. Editors Update. Sep 2013. Issue 40. 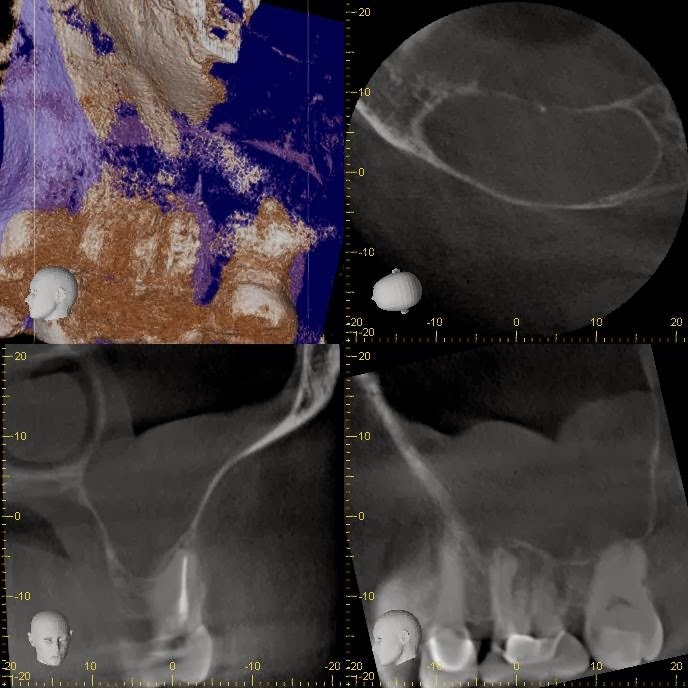 The use of CBCT in endodontics is helpful in the diagnosis and treatment of sinusitis of odontogenic origin. 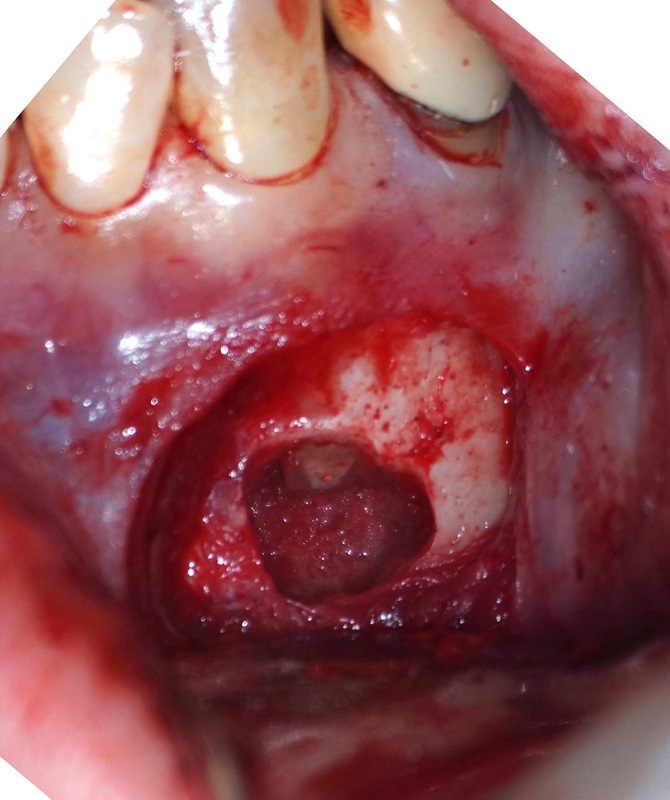 The following case demonstrates how proper endodontic treatment will resolve an asymptomatic sinusitis of odontogenic origin. 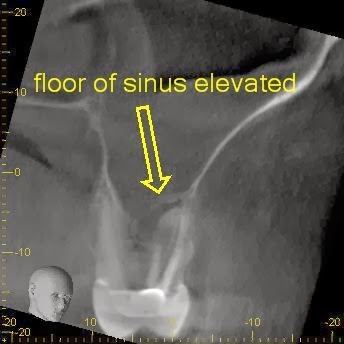 Pt reports swelling, throbbing, percussion pain but reports no sinus symptoms of congestion, drainage, restricted airflow through the nose or sinus headaches. CBCT take for further evaluation of prior RCT. 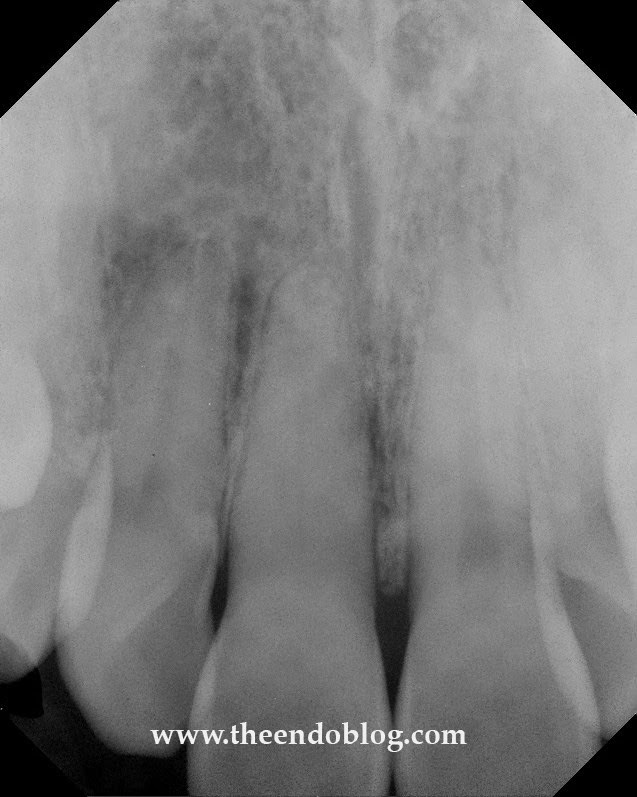 CBCT shows missed MB#2, thickened sinus membrane, large pa lesion on MB with elevated sinus floor (halo effect). 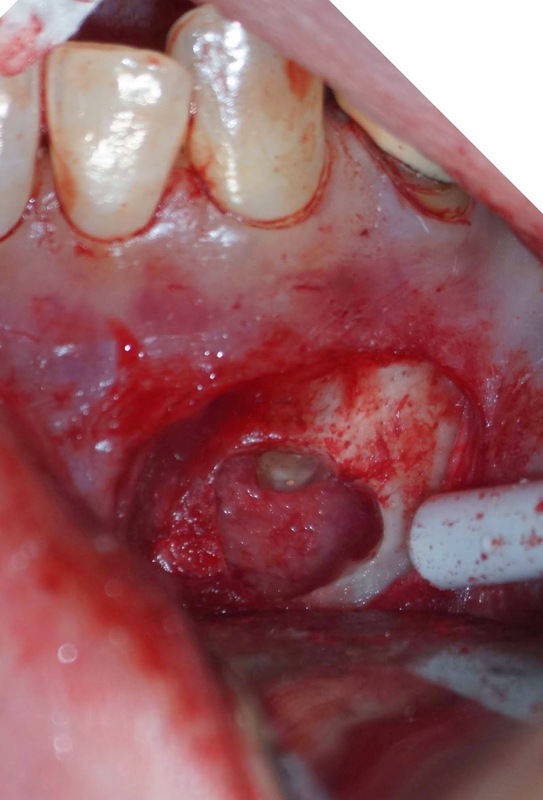 DX: Prior RCT with acute apical abscess & odontogenis sinusitis. Missed MB#2 canal seen in axial view. 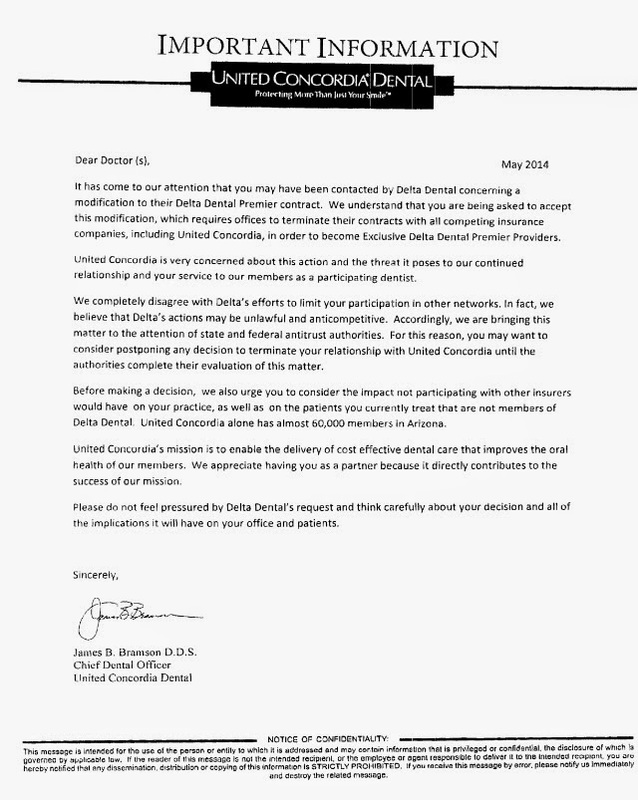 7 month recall. Pt is asymptomatic. 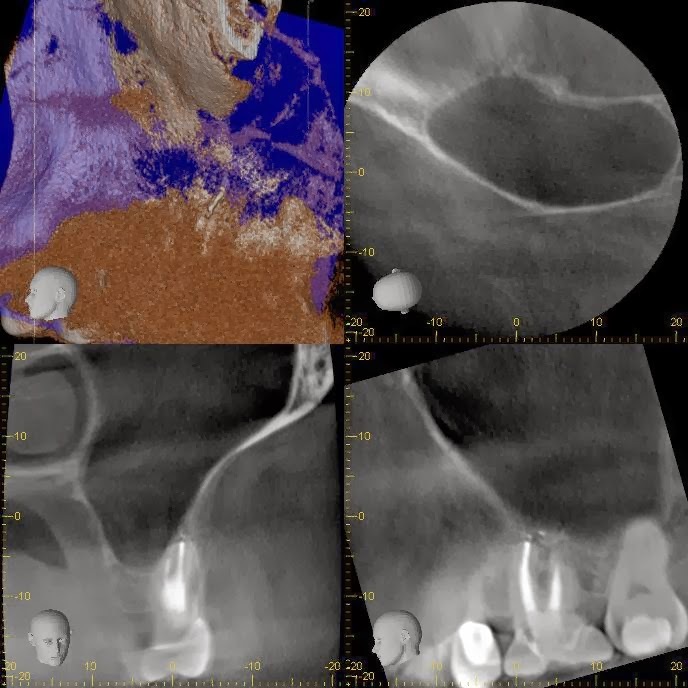 CBCT shows resolution of the previously thickened sinus membrane, healing of periapical lesion, previous elevation of the sinus floor has resolved. All signs and symptoms have resolved. 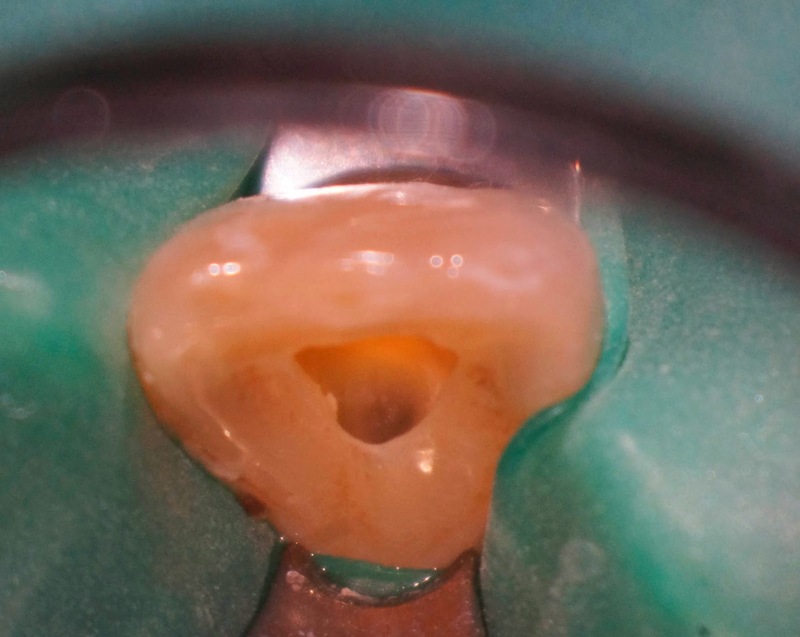 Root amputation may allow a patient to save a tooth and the investment that has been made in the restorative work on a tooth. 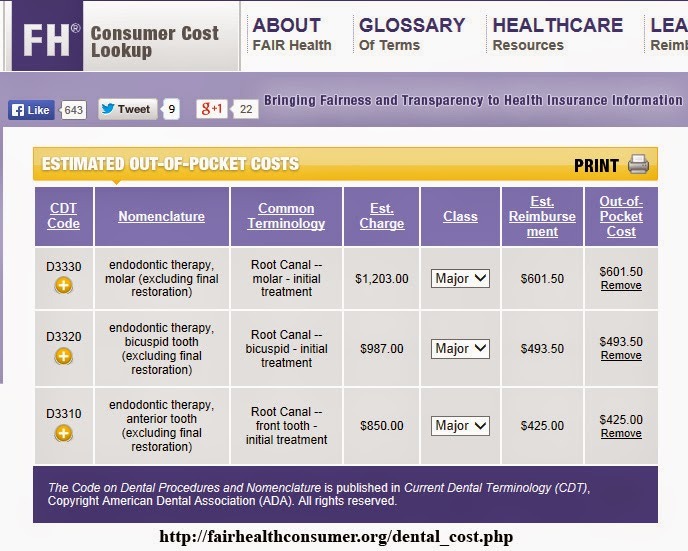 The cost of root amputation is small in comparison to the cost of tooth replacement with an implant or bridge. 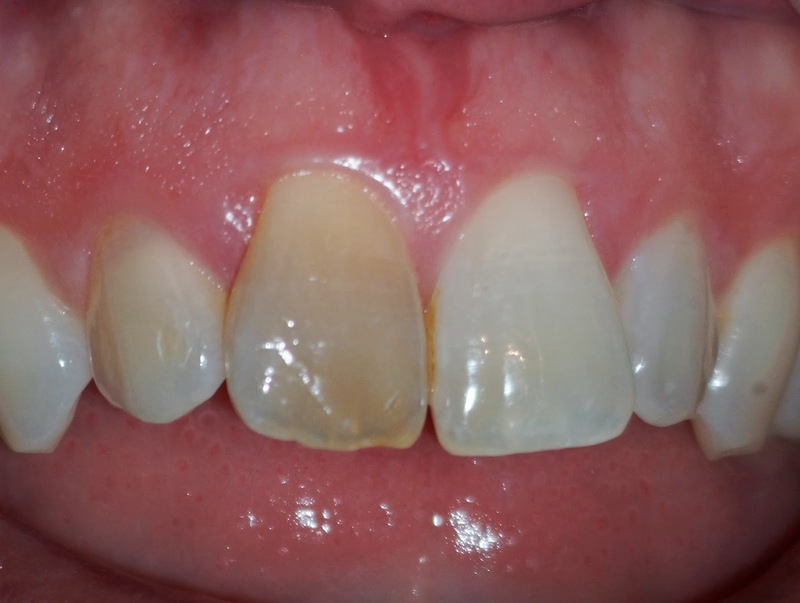 There may be certain situations where root amputation is the ideal treatment for your patient. 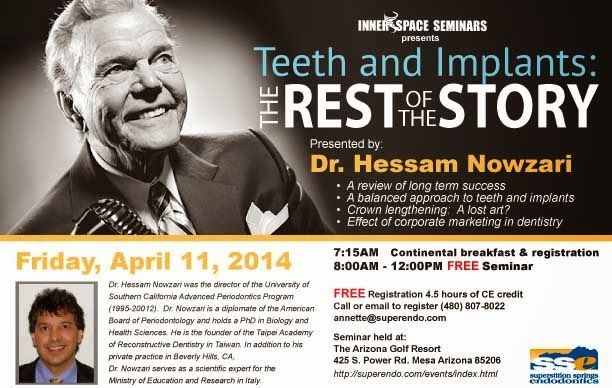 The following case was treated at Superstition Springs Endodontics. 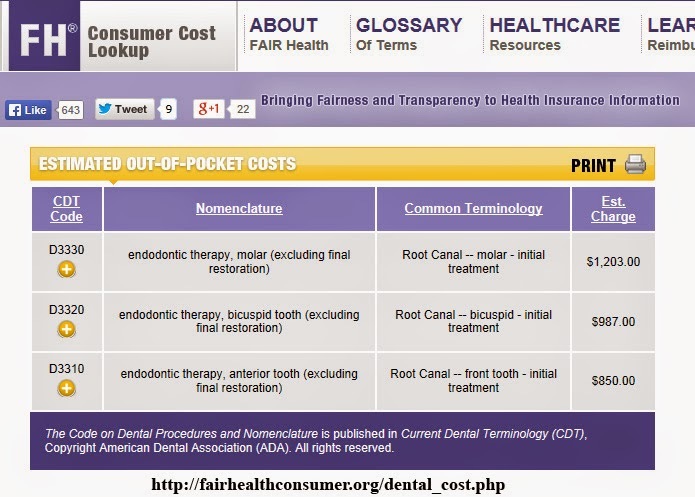 Retreatment of #3 was previously attempted. Surgical access to #3 discovered a fractured MB. Options were discussed and MB root amputation was chosen and performed. 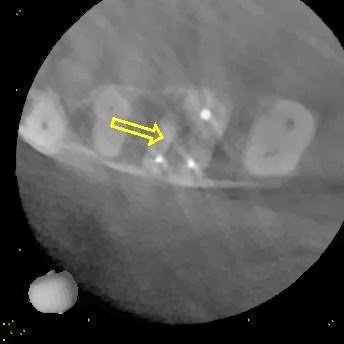 All remaining occlusal forces are directed over the remaining roots (P and DB). 1.5 Yr recall finds the patient asymptomatic and fully functional. Bony support around the aputated root looks good.